We are enjoying a true democracy in Nigeria at the moment; most especially so these last few months to the next elections. A true democracy is a government for the people, of the people and by the people. In a true democracy, you expect the people’s wishes to be done. This is what is happening in Nigeria today. We scream, we shout, we protest and the government does what we demand, almost. Fuel subsidy removal, we screamed, we shouted, we shut down the nation, we died and the government reversed the abrupt removal, well half-way. Government reneged on their promise to our teachers. We screamed, we threatened, we struck, we sat at home and then at last the government took some of ‘their’ billions to settle us to return to work and school after 6 months, in ‘compliance’ with our democratic wishes. we screamed, we shouted, we protested, we were arrested and then the government nudged her to retire. Well, that’s somewhere midway between her going to jail as we demanded and her remaining in authority. And though Coscharis got off the hook, they at least saw their government business partner retire. The Tokunbo car ban: We screamed, we shouted, we danced and the government has thus far kept postponing the ban, which is somewhere between the complete expulsion we want and the total ban their pockets crave. #WhereIsOurMoney: Yes, the ‘missing’ 20-127 billion United States dollars; we shouted, we tore our pants, we protested at embassies from New York to Berlin and on streets from Lagos through Abuja to Kaduna; they tried to sack Sanusi in response, we kept protesting, they ‘suspended=sacked’ Sanusi, we kept at it, BBC joined us, CNN, Aljazeera, Wendell Simlin, aka, Reno Omokri launched Boko Haram at us, but we did not falter, finally they ‘set up an audit’ to ‘look into it.’ Democracy- executing the will of the people, not so? Selling the refineries: we screamed, we yelled, we threatened and suddenly president Jonathan came out to tell us that Diezani was lying, they never intended any such. Diezani is back at it again, but we can predict that as we scream, shout and protest—the NLC has already warned her and the Jonathan government not to dare sell any more public asset—they will again listen and postpone till perhaps after re-election. Abba Moro and his Immigration bloody scam: We are screaming, shouting, Omojuwa and Ms Azeerah Mohammed painted “Bloody Murderers,” in front of the Interior ministry... and they have at least called a panel in which they got Moro to blame it on the devil. That is something. As we continue to shout across the world, and be arrested as Omojuwa was, this Wednesday as he delivered 18 coffins to the Ministry of Interior, perhaps in 2 months like Stella, we will see Moro systematically, honourably resign. Oil goddess Diezani: we are screaming, we are shouting, we have been protesting for years now, even pro-Jonathan diehards as they call themselves are protesting for her and Moro’s sack in Delta state; and at last the government is responding to our democratic desires. Though the presidency has said they will not probe her, the senate is at least. That is something, right? Perhaps her excesses will be limited or at least hidden from our view a little bit (her sack or resignation, we should not hold our breaths on). But at least we are getting something; a whole oil goddess is having to explain herself! I think we Nigerians can celebrate our democracy. The shouting of the people gets heard and done...well, almost. That’s the copious amounts we enjoy when we recurrently engage in street protests against governance terror or run from the growing free flowing, epidemic, violent terror that now abounds. We have all been turned into activists. Jonathan Now, no impeachment, no coup! 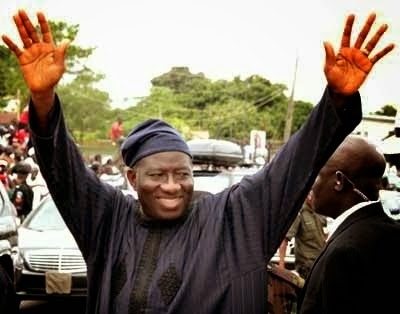 Jonathan for 2015, Jonathan forever!